India's 4th annual Project Management National Conference was held in Chennai from 28th September to 30th September 2012. 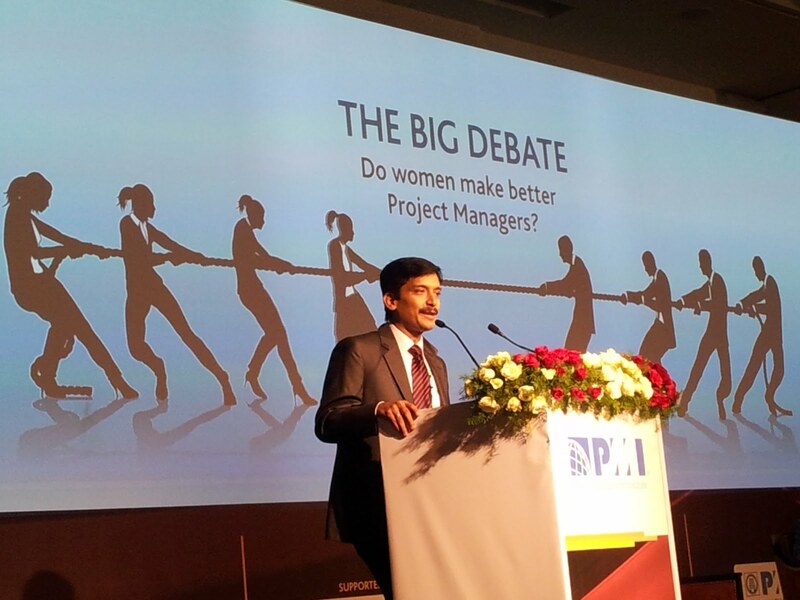 I was fortunate to attend the mega event; the first time I attend such a huge conference on project management. While PMI Chennai was painting rosy pictures before the commencement of the conference, I was a little bit negative; as such, I was taken by surprise to see a huge gathering of delegates from all over the world. I understand that the delegates count was more than 1000. 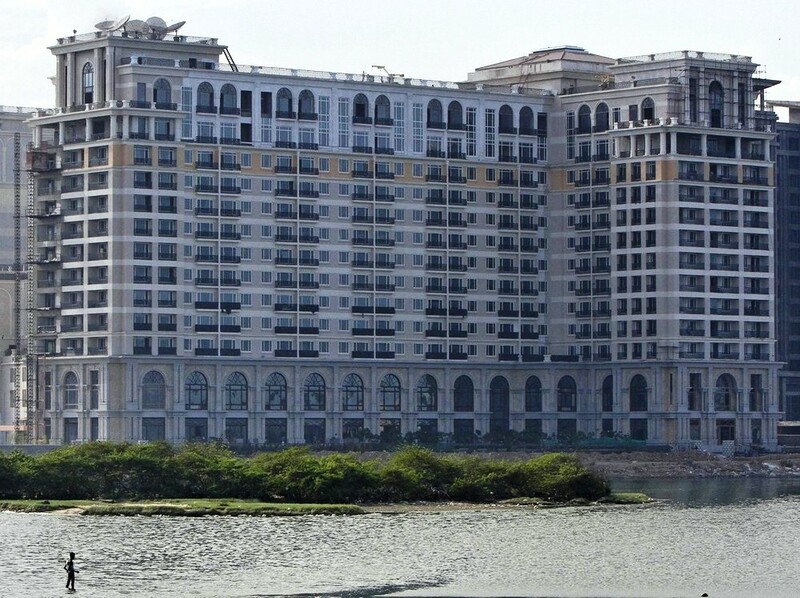 The venue was the Leela Palace Chennai, the new sea front hotel in Raja Annamalai Puram. Being the first mega event hosted by Leela Palace, the staff went the extra mile to ensure the delegates were happy and satisfied. Mr. Vineet Nayar, Vice Chairman & CEO, HCL Technologies gave a speech which was interesting and engaging. He spoke about the importance of employees to the organization. One interesting question to Vineet Nayar was "I have an incompetent superior; so, I am unable to grow. I am very stressed". Vineet Nayar was quick to respond "You are so lucky. You have the best opportunity to show that you are competent. If your boss is competent, it takes time for you to prove yourselves and establish. Now, you have a better environment, go and use it to your advantage". 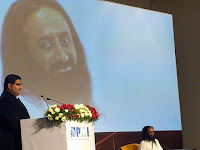 His Holiness Sri Sri Ravi Shankar, Founder, Art of Living Foundation & International humanitarian leader was another interesting speaker at the conference. That was the first time I attended a programme by Sri Sri Ravi Shankar. He engaged the delegates with a quick "desktop yoga/ meditation" session which lasted close to about 20 minutes. He insisted the project managers not to lose their smile in spite of the stressful work environment they have. I liked his advice "Show your anger, but don't get angry". How good if I can follow that? One of the participants requested for advice on balancing his family and work. He gave an analogy of a bicycle, where you always have a nice balance to ride. Sometimes, you bend on one side but not fully; sometimes you bend on the other side to negotiate a curve. But the lesson is to balance both, work and family, knowing when to bend and how much to bend is the secret to have the bicycle running smoothly. 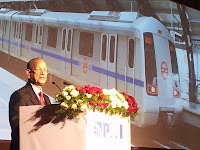 The speaker whom I had been waiting for was Dr. E Sreedharan, Principal Advisor to DMRC (Delhi Metro Rail Corporation). 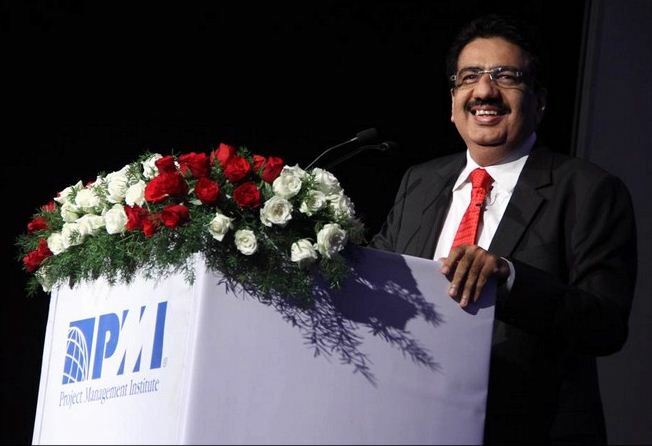 In my opinion, he was a pioneer to modern project management in India. 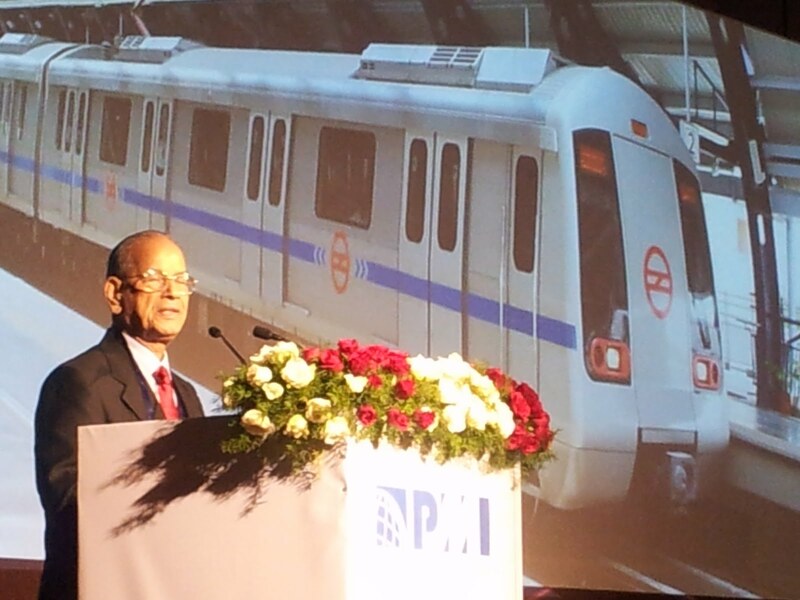 He was the roaring success behind the metro rail revolution in India. He showed to the people of India that Government projects can also be completed within the given schedule, to the international quality standards and without any complaint of scam/ bribe. During his speech, he emphasized the importance of forming a good team for your project, encouraging them to take responsibility/ decision making roles and support them when their decisions go wrong. Mr. Sreedharan was of the opinion that delay in decision making was the major reason for delays in infrastructure projects. He ensured the Contractors are properly taken care of and their problems are treated as the project's problems. I personally felt the panel discussions were boring, particularly the first panel discussion on "Has the time arrived for a Chief Projects Officer?". I felt so sleepy that I had to leave the conference hall for a short walk outside. The second panel discussion on "Do women make better project managers?" was better and was made interesting by the host. Overall, it was a good experience and helped me learn the experience of project management stalwarts. It was also an opportunity to network with like-minded project management practitioners. Hello. Cool article. There is an issue with the website in internet explorer, and you may want to check this… The browser is the market leader and a large component to people will leave out your wonderful writing due to this problem. Let me check. This web site was checked for compliance in most of the browsers. Thanks for the input.